January 12, 2015 Michael Meyer, ETH Zurich, "Building a Predictive Theory of Planet Formation: Extrapolation versus Phenomenology in the Era of Direct Imaging"
February 10, 2015 Seth R Siegel, California Institute of Technology, "Multiwavelength Analysis of Galaxy Clusters"
February 11, 2015 Lorenzo Moncelsi, California Institute of Technology, "Cosmology above the clouds with SPIDER"
March 5, 2015 Karen Kolb Flude, Aging with Ease, Forward Chicago, "Astrophysics for Older Adults"
March 12, 2015 Gary Zank, University of Alabama at Huntsville, "Plasma Physics of Astereospheric Boundary Regions in a Partially Ionized Interstellar Medium e.g., the Heliosphere"
April 4, 2015 Astronomy Conversations: Megan Bedell and Sean Mills, "Exoplanets"
April 4 - June 6, 2015 81st Compton Lectures: Andrew McCann, "Nature's Timepiece: The Exotic World of Pulsars"
July 28, 2015 KICP Workshop: "Putting Your Data into World Wide Telescope (WWT)"
August 6, 2015 Tom Ray, Dublin Institute for Advanced Studies, "The Einstein Lens and a Tale of Two Eclipses"
September 23 - 25, 2015 KICP workshop: "Calibration of low energy particle detectors"
October 12 - 14, 2015 KICP workshop: "Exploring Theories of Modified Gravity"
Michael Meyer, ETH Zurich, "Building a Predictive Theory of Planet Formation: Extrapolation versus Phenomenology in the Era of Direct Imaging"
Planetary bodies provide suitable environments for the emergence of life. Thus knowing their distribution as a function of mass, orbital radius, and bulk composition can help constrain the possible number of habitable worlds. Observations in the accessible regions of our Galaxy provide empirical constraints on planet populations. Yet extrapolation of these results to the rest of the observable Universe requires understanding the dependence of formation and evolution on a wide range of initial conditions. On the one hand, this process is simple: small bodies grow into larger ones through collisions (and sticking) of solid particles, or through local gravitational instabilities. On the other hand, the specific outcomes depend on a large number of complex properties requiring coupled understanding of dynamics, chemistry, and radiative transfer over several orders of magnitude in solid particle size, gas density and orbital radius. I will first introduce some simple theories of planet formation, and derive expected outcomes as a function stellar mass. Then I will summarize recent observations that constrain these theories with a focus on the power of direct imaging for "model-breaking". Finally, I will discuss experiments (some underway with new IR instrumentation on 8-meter class telescopes, and others planned for future facilities) that aim to efficiently improve our understanding. 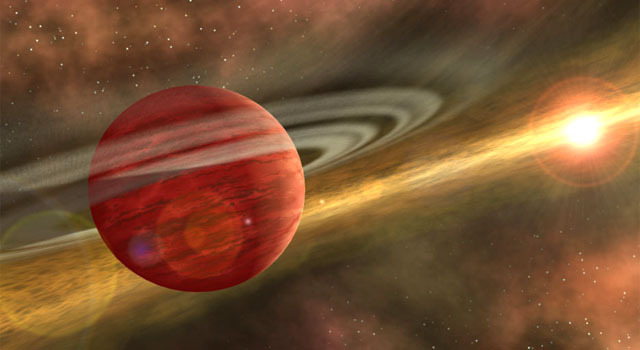 One exciting prospect is the direct detection of circumplanetary disks around forming planets, which may be key to regulating planet masses. 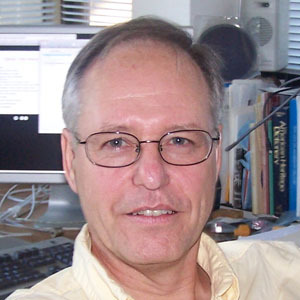 Physics colloquium: John Carlstrom, University of Chicago, "Physics and Cosmology with the Cosmic Microwave Background"
The study of the cosmic microwave background (CMB) has driven spectacular advances in our understanding the origin, make up and evolution of our universe. We now have a standard cosmological model, ΛCDM, that fits all the cosmological data with only six parameters, although there are some tensions that may hint at that cracks in the model. 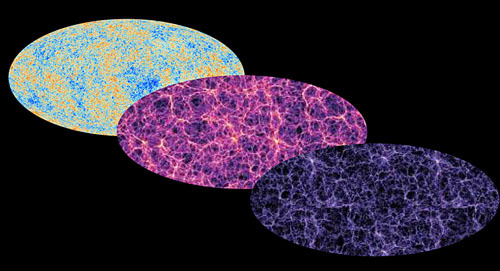 Far from being the last word in cosmology, the model points to exciting times ahead using the CMB to explore new physics, i.e., inflation, dark matter, dark energy, neutrino masses and possible extra relativistic species, or dark radiation. 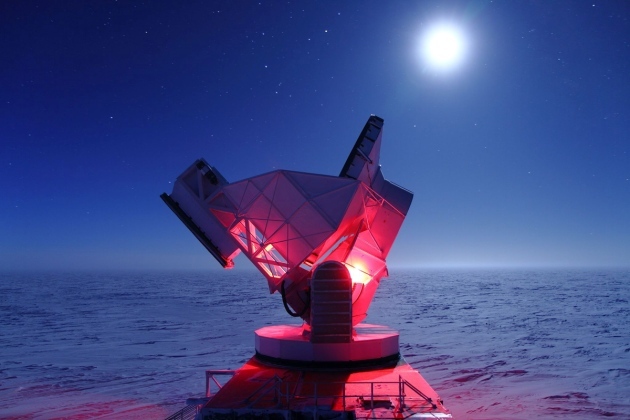 This talk will review the current status and near term plans for CMB measurements, with emphasis on the South Pole Telescope, and discuss the plans for the next generation experimental program, CMB-S4. All Chicago Cosmology Colloquium: Alexander Szalay, Johns Hopkins University, "Baryon Acoustic Oscillations and Redshift Space Distortions"
The talk will present results about measuring the Baryon Acoustic Oscillation signal in redshift surveys. The impacts of various effects like survey geometries, redshift space distortions, nonlinear corrections will be discussed. In particular, we will show that redshift-space distortions can substantially sharpen the BAO peak in directions close to the line of sight. We also demonstrate a detection of Baryon Acoustic Oscillations in the SDSS Main Galaxy Survey. 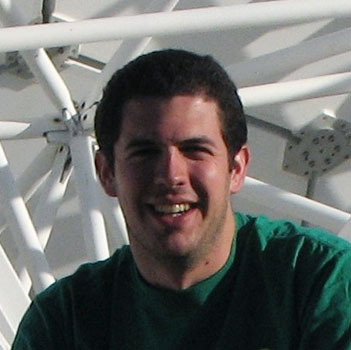 Seth R Siegel, California Institute of Technology, "Multiwavelength Analysis of Galaxy Clusters"
I will report on the joint analysis of X-ray, weak lensing, strong lensing, and Sunyaev-Zel'dovich (SZ) measurements of the CLASH sample of 25 massive galaxy clusters. 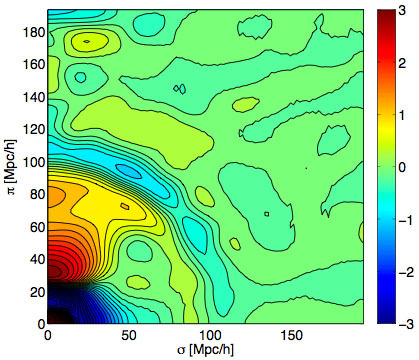 The high-quality multiwavelength data is able to constrain more realistic parametric models for the distribution of dark and baryonic matter in the galaxy clusters, avoiding biases in mass estimates that result from the assumptions of spherical symmetry and hydrostatic equilibrium. I will present results for a subsample of the clusters, including constraints on the level of non-thermal pressure support in the intracluster medium (ICM). I will conclude by introducing the Multiwavelength Sub/millimeter Inductance Camera (MUSIC), a new photometric imaging camera for the Caltech Submillimeter Observatory that is simultaneously sensitive to four bands at 150, 230, 290, and 350 GHz, and is ideally suited for studies of the ICM through the SZ effect. I will describe the characterization and removal of noise sourced by MUSIC's Microwave Kinetic Inductance Detectors (MKIDs) and their readout electronics. Lorenzo Moncelsi, California Institute of Technology, "Cosmology above the clouds with SPIDER"
SPIDER is a balloon-borne microwave polarimeter designed to measure cosmological B-modes on degree angular scales in the presence of Galactic foregrounds. With six independent telescopes housing a total of ~2000 detectors in the 90 GHz and 150 GHz frequency bands, SPIDER is the most instantaneously-sensitive CMB polarimeter deployed on the sky to date. SPIDER was successfully launched from McMurdo Station, Antarctica in January 2015 and acquired science data for 16 days. I will briefly cover the in-flight performance and the expected analysis challenges. Pending recovery, the SPIDER team is already planning the next flight, featuring one or two foreground-optimized channels, which will allow us constrain the primordial tensor-mode amplitude at the level of r < 0.03 (99% CL), even in the presence of foregrounds. The vastness of the observable universe; the seeds of ancient religious belief; a mythical faraway world; the humming network of your neighborhood streets; intricate technological systems; blood vessels inside our bodies; nerves of the brain; the world of a single cell; known and unknown totalities. All these visions conjured by this single term, with infinite possibilities remaining. Our Cosmos Cabinet is built on the idea that such a concept can inspire scientists and artists equally to inquiries and creations that will engage all who are mystified and intrigued by the connections, relationships, orders, limits and limitlessness, and the tremendous scale of the world and worlds we inhabit or imagine. 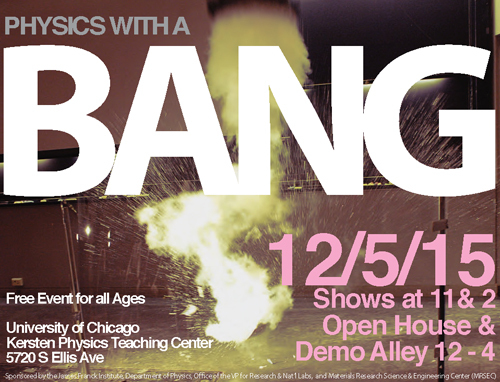 Please join us for a series of performative presentations by scholars and artists from the University of Chicago and beyond, who explore cosmology and its reverberations. a magic lantern performance created by Artemis Willis (filmmaker and media arts curator; PhD Candidate, Cinema and Media Studies, the University of Chicago) featuring Terri Kapsalis (writer, performer and cultural critic; Adjunct Professor of Visual and Critical Studies, the School of the Art Institute of Chicago). DAVID BOYKIN is one of the most original and dynamic artists in the Chicago music scene. He is a composer, bandleader, and a multi-reed instrumentalist performing on the tenor and soprano saxophones, the Bb soprano and bass clarinets, and the drum set. He has received many grants and awards for his talents as a composer. He is the leader of the David Boykin Expanse; founder of Sonic Healing Ministries; and an occasional collaborator with other artists. David Boykin began studying music on the clarinet at the age of 21 in 1991 and first performed professionally in 1997. Since 1997 he has released 10 album length recordings as a leader and contributed as a featured soloist to other musicians’ recordings; and performed at major international jazz festivals and smaller jazz venues locally and abroad. TERRI KAPSALIS is a founding member of Theater Oobleck and has performed in 15 Oobleck productions. Her writings have appeared in such publications as Short Fiction, The Baffler, Denver Quarterly, new formations, Public, and Lusitania. Her most recent publication is Jane Addams’ Travel Medicine Kit (Jane Adams Hull-House Museum, 2011). 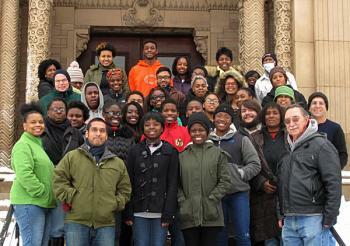 She teaches in Visual and Critical Studies and Writing at the School of the Art Institute of Chicago (SAIC). ANGELA OLINTO is the Homer J. Livingston Professor, Chair, Department of Astronomy and Astrophysics; Enrico Fermi Institute; and the College (UChicago); and a member of the Kavli Institute for Cosmological Physics (UChicago). Her Research interests are in astroparticle physics and cosmology. While at UChicago, she has expanded her work on cosmic magnetic fields' and has investigated the nature of the dark matter in the universe. Her most recent research encompasses investigations into the origin of the highest energy cosmic particles cosmic rays, gamma U rays and neutrinos. Olinto' received her B.S. in Physics from the Pontificia Universidade Catolica, Rio de Janeiro, Brazil and her Ph.D. in Physics from the Massachusetts Institute Technology. Her many awards and accolades included receiving the Chaire d' Excellence Award of the French Agence Nationale de Recherche in 2006 and the Llewellyn John and Harriet Manchester Quantrell Award for Excellence in Undergraduate Teaching in 2011. ARTEMIS WILLIS Artemis is a non-fiction filmmaker, media arts curator and scholar of the magic lantern. Her films have screened at the MFA Boston, the Brooklyn Museum and Anthology Film Archives. She has curated magic lantern shows at Film Society of Lincoln Center, the National Gallery of Art, and the Freer and Sackler Galleries. She is presently working on a dissertation at UChicago concerning the international history, practice and culture of the magic lantern. 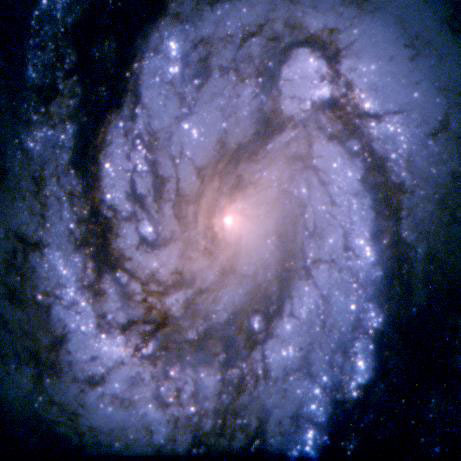 Adler colloquium: Andy Howell, Las Cumbres Global Telescope/UC Santa Barbara, "Understanding Mysterious Sources of Energy in Supernovae"
In the past few years new classes of supernovae have been discovered that are both brighter and fainter than previously thought possible. 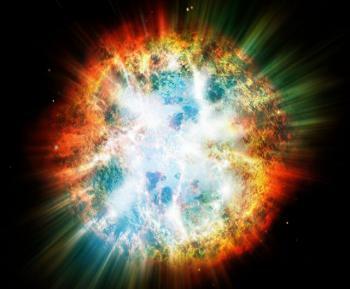 The superluminous supernovae have luminosities 100 times greater than a core-collapse supernova, and their origin is a mystery. I will present data on two of the most distant and best-observed events from the Supernova Legacy Survey, and the first radiative transfer model that gives insight into their origin. They seem to result from the creation and spin-down of a magnetar. I'll also discuss a range of both normal and exotic supernovae from the local universe, including an even newer class of superluminous supernovae, and show how new observations are revealing or limiting SN progenitors for the first time. The Las Cumbres Observatory Global Telescope Network (LCOGT) is one of the latest tools allowing new kinds of observations with its 11 node network of one and two meter robotic telescopes spanning the globe. We have now begun the LCOGT Supernova Key Project, which will collect the largest sample of low-redshift supernovae ever obtained: lightcurves and spectroscopy on 450 supernovae over 3 years for use in cosmology, understanding explosions, and determining supernova progenitors. In mid-2014, I left a postdoc as a cosmologist at the University of Chicago to join Civis Analytics as a "data scientist". Civis is a 2-year old Chicago-based tech company that helps organizations use the data they have to connect with the people they care about. Data science is the core of Civis's business, and to us that means smart applications of statistics and machine learning to make sense of real-world person-level data. In this talk, I'll describe what a data scientist does at Civis Analytics, how my PhD in physics prepared me for what I do now, and what a physicist or astronomer could do to prepare for a transition to data science. Karen Kolb Flude, Aging with Ease, Forward Chicago, "Astrophysics for Older Adults"
The KICP has a substantial astronomy/physics/cosmology outreach effort underway at Chicago City Senior Centers, in which we've brought astronomy and physics content to ~200 seniors free of charge, followed by subsidized field trips to the Adler Planetarium. If you think you might be interested in participating, this is the perfect opportunity to get involved. The session will be led by gerontologist Karen Kolb Flude, gerontologist, and KICP postdoc Daniel Grin, on Thursday March 5th, 10 AM-12 PM, in the LASR Building, in the central conference room. The session will begin with a short overview of our existing program. We'll then hear from Karen Flude about the motivation for lifelong learning and senior outreach, the specific challenges seniors face worldwide, and then some important tools for participating in senior outreach effectively. The session will wrap up with an opportunity for attendees to show the group any existing presentation material and then get helpful feedback on tailoring it to a senior citizen audience. 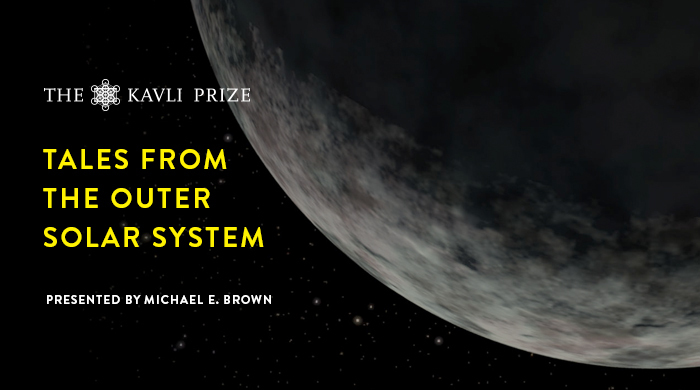 Kavli Prize Lecture: Michael E. Brown, California Institute of Technology, "Tales from the Outer Solar System"
Join us on Thursday, March 5, from 7:30 to 9:30 pm for the first Kavli Prize Lecture and Q&A session by 2012 Kavli Prize Laureate in Astrophysics, Michael E. Brown, from the California Institute of Technology. Following the Q&A portion of the lecture guests will have a chance to interact with Michael Brown and Adler astronomers during a reception in the Welcome Gallery. Coffee and refreshments will be served. The past decade has seen an explosion in the discoveries of Pluto-sized and near Pluto-sized bodies in the outer Solar System, giving rise to a new classification of "dwarf planets." Like Pluto, each of these largest dwarf planets has a unique story to tell about the history and evolution of the Solar System. Dr. Brown will discuss the discoveries of these objects and the new views of giant collisions, stellar encounters, and planetary rearrangement that we are gaining from their study. Finally, he will show intriguing new evidence that there is an even larger object lurking far beyond these dwarf planets. This object, if we can find it, will finally silence the lingering questions about Pluto and planethood, for this object, if we can find it, will be the new rightful 9th planet. Michael E. Brown has been a professor of planetary astronomy at the California Institute of Technology (Caltech) since 2003. His team has discovered many trans-Neptunian objects (TNOs), notably the dwarf planet Eris, the only known TNO more massive than Pluto. He has referred to himself as the man who "killed Pluto", because he furthered Pluto being downgraded to a dwarf planet in the aftermath of the discovery of Eris and several other probable trans-Neptunian dwarf planets. He is the author of How I Killed Pluto and Why It Had It Coming, published in 2010. There will be a live domecast of this presentation to the Denver Museum of Nature and Science, the Peoria Riverfront Museum, and the Flandrau Planetarium in Tucson, Arizona. 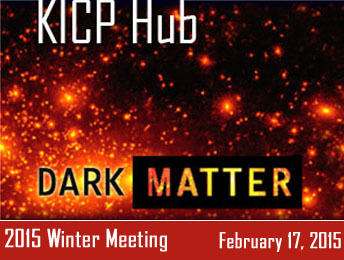 KICP Friday Seminar: Simona Murgia, UC Irvine, "Indirect Detection of Dark Matter with Gamma Rays"
NSF-funded Physics Frontiers Centers are pushing the frontiers of science across the disciplines of physics. The Kavli Institute for Cosmological Physics (KICP) tackles the big questions in cosmology - dark matter, dark energy and how the Universe began. 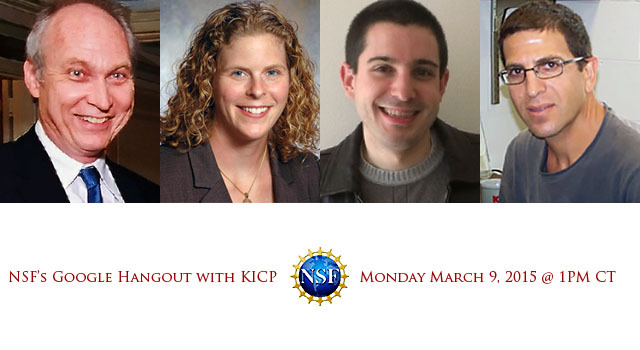 At 2 pm ET / 1 pm CT on Monday, March 9, the NSF Physics Division will host a live hour-long Google Hangout with KICP. 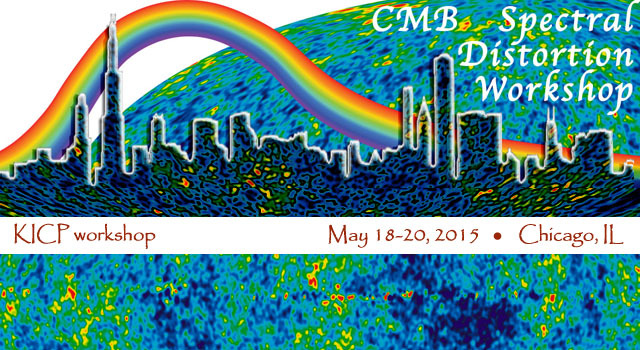 We'll talk with the KICP Director and other members about the exciting science going on there including research on the cosmic microwave background and dark matter as well as the center itself and its innovative activities in graduate and postdoctoral education and programs that advance the broader understanding of science. You'll even be able to participate in the discussion using Twitter! No matter what your area of physics or the stage of your physics education or career, tune in to hear all about KICP and just what makes it a PFC. 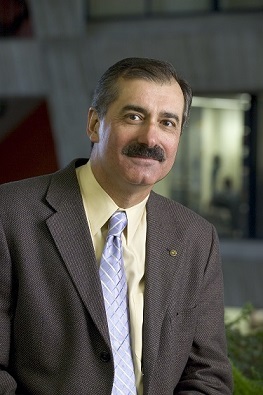 MICHAEL S. TURNER - Director of the Kavli Institute for Cosmological Physics, as well as the Bruce V. and Diana M. Rauner Distinguished Service Professor at the University of Chicago. Turner helped establish the interdisciplinary field that combines together cosmology and elementary particle physics to understand the origin and evolution of the Universe. 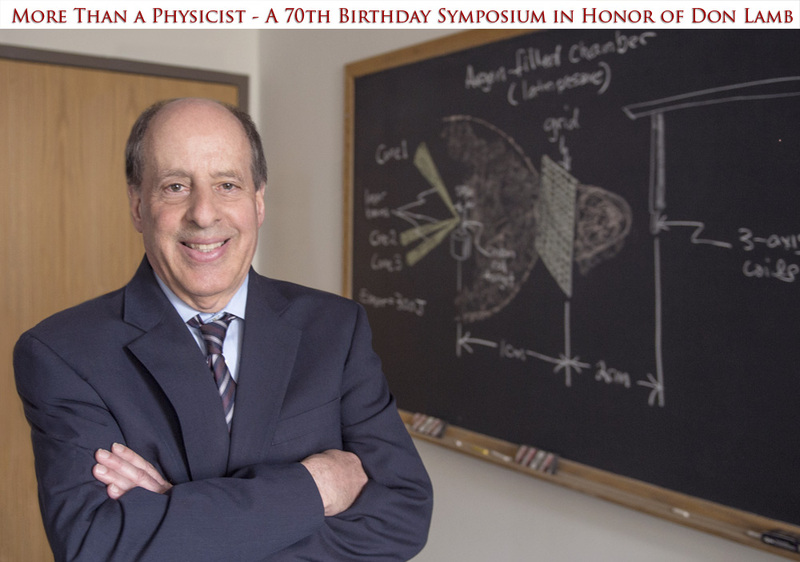 His research focuses on the earliest moments of creation, and he has made contributions to inflationary cosmology, particle dark matter and structure formation, the theory of big bang nucleosynthesis, and the nature of dark energy. 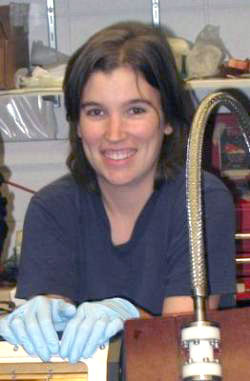 ABIGAIL VIEREGG - Member of the Kavli Institute for Cosmological Physics, and assistant professor at the University of Chicago, is interested in answering some of the most exciting and fundamental questions about the nature of the universe at its highest energies, through experimental work in particle astrophysics and cosmology. In particle astrophysics, her work is focused on searches for particles called neutrinos that come from the most energetic sources in the universe. These particles will help researchers determine the origin of the highest energy cosmic particles. Gary Zank, University of Alabama at Huntsville, "Plasma Physics of Astereospheric Boundary Regions in a Partially Ionized Interstellar Medium e.g., the Heliosphere"
Many stars find themselves in an environment that is partially ionized, including our Sun. The coupling of typically neutral H and plasma plays a fundamental role in determining the structure and properties of the outer boundaries between the stellar wind and the ISM. The plasma itself is modified significantly by the creation of pickup ions, which are now of considerable interest in the heliospheric example. 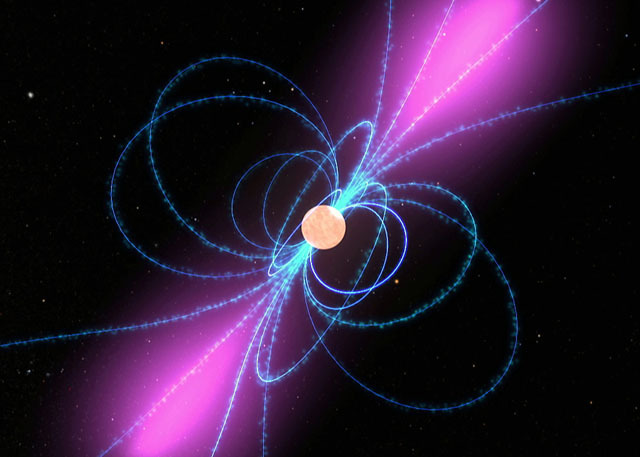 Pickup ions (PUIs) in the outer heliosphere and the very local interstellar medium (VLISM) are created by charge exchange between protons and hydrogen (H) atoms, forming a thermodynamically dominant component. In the supersonic solar wind beyond ~10 AU, in the inner heliosheath (IHS), and in the VLISM, PUIs do not equilibrate collisionally with the background plasma. Using a collisionless form of Chapman-Enskog expansion, we derive a closed system of multi-fluid equations for a plasma comprised of thermal protons and electrons, and suprathermal PUIs. The PUIs contribute an isotropic scalar pressure to leading order, a collisionless heat flux at the next order, and a collisionless stress tensor at the second-order. The collisionless heat conduction and viscosity in the multi-fluid description results from a non-isotropic PUI distribution. A simpler 1-fluid MHD-like system of equations with distinct equations of state for both the background plasma and the PUIs is derived. We discuss briefly linear wave properties in a PUI-mediated 3-fluid plasma model for parameters appropriate to the VLISM, the IHS, and the solar wind in the outer heliosphere. Five distinct wave modes are possible: Alfven waves, thermal fast and slow magnetoacoustic waves, PUI fast and slow magnetoacoustic waves, and an entropy mode. The thermal and PUI acoustic modes propagate at approximately the combined thermal magnetoacoustic speed and the PUI sound speed respectively. All wave modes experience damping by the PUIs through the collisionless PUI heat flux. The PUI-mediated plasma model yields wave properties, including Alfven waves, distinctly different from those of a standard 2-fluid plasma model. Broader Horizons: Reid Sherman, "Career Phase Transition: Finding work in science policy"
As a AAAS Policy Fellow in NASA's Earth Science Division, Reid Sherman gets to see how the US government thinks about its satellite resources, and how decisions get made about the future of earth science research and climate monitoring systems. Prior to that, he has worked for both for-profit and non-profit institutions, and studied the STEM workforce and the state of American postdocs. In this talk, he'll share how he moved from academia into government, what policy work is really like, and some lessons he's learned about making the career transition. Zhen Hou - "Reconstructing the cluster mass profile from CMB lensing"
Amy Bender - "SPT-3G readout electronics: design and commissioning"
Tongyan Lin - "Radiation from the dark sector"
Ben Loer - "SuperCDMS status and plans"
Keith Bechtol and Alex Drlica-Wagner - "The search for Milky Way satellite galaxies: from optical to gamma rays"
Astronomy Conversations: Megan Bedell and Sean Mills, "Exoplanets"
I am currently working at a small start up company called Gro Intelligence, which has offices in Nairobi and New York City. Our main focus is increasing the quality and access to data of agricultural commodities as well as the environmental and market effects that relate to agriculture. I will talk about my current role as a software engineer and how I adjusted from astrophysics, and what it is like to work at a start up as compared to academia. Harper Lecture: Stephan Meyer, "Researching the Universe in Antarctica"
The South Pole Station is an important observatory for astrophysics and cosmology research, but because of the extreme conditions and remoteness of the site, designing, constructing, and operating its research tools is a challenge and an adventure. Several telescopes operate throughout the night - which lasts six months in Antarctica - gathering information on cosmic microwave background radiation and distant clusters of galaxies to explore how the universe as we know it evolved. Stephan Meyer, LAB'70, a member of the South Pole Telescope team, will talk about the science being investigated with these telescopes and the excitement of carrying out research on the Antarctic continent. 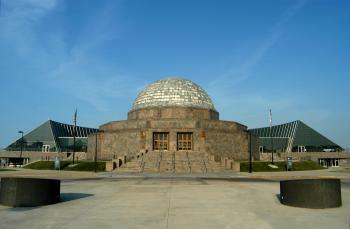 Meyer is a professor in the Departments of Astronomy & Astrophysics and Physics, the Enrico Fermi Institute, and the College. He was a postdoctoral associate and then assistant professor of physics at MIT before joining the University of Chicago faculty in 1993. 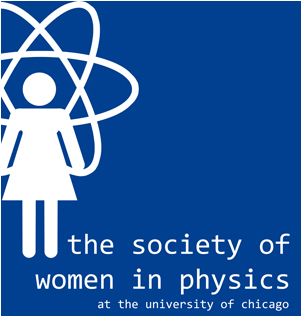 Pizza with Professors is an event hosted by SWIP (Society of Women in Physics) and KICP designed to bring physics undergraduates, professors, postdocs, and graduate students together over dinner to talk about research, life, the universe, and everything. All Chicago Cosmology Colloquium: Carlos Frenk, Durham University, "The vicissitudes of the cold dark matter model of cosmology"
Professor Carlos S. Frenk is Director of the Institute for Computational Cosmology, Durham University's world-renowned theoretical cosmology research group. Along with collaborators from all over the world, he builds model universes in state-of-the-art supercomputers, trying to understand how the structures in our Universe evolved from simple beginnings to the complex structures composed of stars and galaxies that we see today. World Science Festival Live Stream viewing and discussion: "To Infinity and Beyond: The Accelerating Universe"
Bring food, friends and questions to Hutch Commons for a Live Stream viewing and discussion of "TO INFINITY AND BEYOND: THE ACCELERATING UNIVERSE" with professors Michael S. Turner, John E. Carlstrom and Michael Gladders of the Kavli Institute for Cosmological Physics (KICP). Explore modern cosmology's biggest mystery with UofC Professor Josh Frieman, Priyamvada Natarajan, Adam Riess (2011 Noble Laureate), Jan Tauber, and Neil Turok with Lawrence Krauss moderating. (1) Ask the faculty and other researchers in Hutch Commons! via Twitter using the #WSFLive hashtag. note - The WSF Twitter account will be tweeting questions relating to "Infinity and Beyond" before, during, and after the live-screened event. It's modern cosmology's biggest mystery -- an unexplained energy that could one day rip the universe apart. It's called dark energy, an anti-gravitational force that confounds the conventional laws of physics. It's the most dominant substance in the universe, making up more than two-thirds of the cosmos. And yet, nearly two decades after its discovery, science is still grappling to explain what dark energy actually is. With today's top physicists as our guides, we'll journey to the earliest moments of the universe -- and then far into the future -- searching for answers. Lawrence Krauss is an internationally known theoretical physicist and best-selling author. His research focuses on the intersection of cosmology and elementary particle physics. Krausss work addresses questions about the origin of matter in the universe, Einstein's theory of general relativity, astrophysics, the future of the universe, and the properties and description of the dark energy that is thought to account for most of the universe's present energy content. A fervent advocate for science literacy, Lawrence Krauss has written nine books for a general audience, including the bestseller The Physics of Star Trek, and most recently A Universe from Nothing. He was recently awarded the National Science Board's Public Service Award for his contributions to public understanding of science. Krauss is foundation professor in the School of Earth and Space Exploration and director of the ASU Origins Project at Arizona State University. Josh Frieman is a senior staff scientist at the Fermi National Accelerator Laboratory and Professor of Astronomy & Astrophysics. 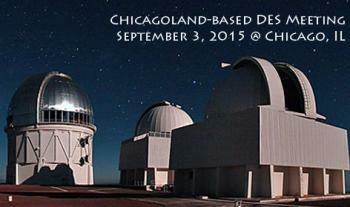 He's also a member of the Kavli Institute for Cosmological Physics at the University of Chicago. Frieman's research focuses on cosmology, including the study of dark energy and dark matter, the large-scale structure of the Universe, supernovae, and gravitational lensing. Frieman is a fellow of the American Physical Society and of the American Association for the Advancement of Science and an honorary fellow of the Royal Astronomical Society. 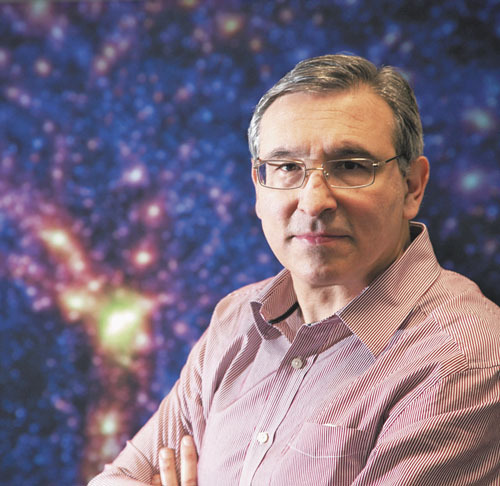 Currently, he serves as director of the Dark Energy Survey, an international collaboration of 300 scientists carrying out a five-year survey of 300 million galaxies using a camera they built for a four-meter telescope in Chile, to explore why the universe is speeding up. Josh Frieman received his B.S. in physics from Stanford University and his Ph.D. in physics from the University of Chicago. Priyamvada Natarajan is a professor in the Departments of Astronomy and Physics at Yale University. Natarajan's research is focused on exotica in the universe - dark matter, dark energy, and black holes. She is noted for her key contributions to two of the most challenging problems in cosmology: mapping the distribution of dark matter and tracing the growth history of black holes. 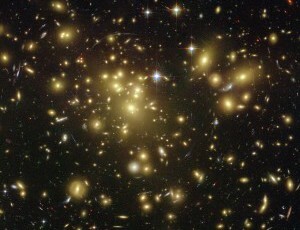 Her work using gravitational lensing has provided a deeper understanding of the granularity of dark matter in clusters of galaxies and offers a novel way to unravel the nature of dark matter. She also works on the assembly and accretion history of black holes. Deeply invested in the public dissemination of science and a fervent proponent of numerical literacy, she is also a published poet. 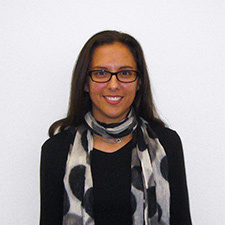 Along with her academic position at Yale, Natarajan holds the Sophie and Tycho Brahe Professorship at the Dark Center, Niels Bohr Institute in Copenhagen, Denmark. 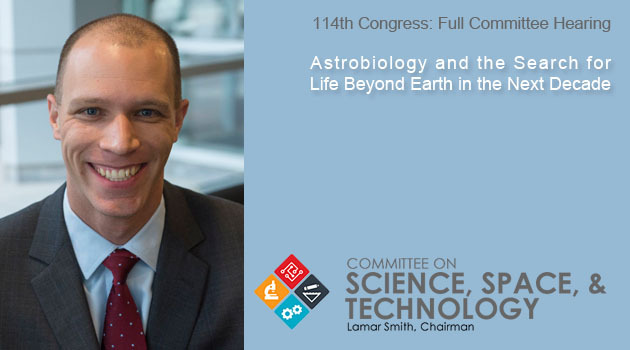 Adam Riess is the Thomas J. Barber Professor in Space Studies at the Johns Hopkins University Krieger School of Arts and Sciences, a distinguished astronomer at the Space Telescope Science Institute, and a member of the National Academy of Sciences. He received his bachelor's degree in physics from MIT and his Ph.D. from Harvard University. Currently, he leads the SHOES Team in efforts to improve the measurement of the Hubble Constant, and the Higher-Z Team to probe the origin of cosmic acceleration by measuring distant Type Ia supernovae. In 2011, he was named a co-winner of the Nobel Prize in Physics and was awarded the Albert Einstein Medal for his leadership in the discovery that the expansion rate of the universe is accelerating, a phenomenon widely attributed to a mysterious, unexplained "dark energy" filling the universe. His accomplishments have been recognized with numerous other awards, including a MacArthur Fellowship in 2008. Jan Tauber has been involved in the Cosmic Microwave Background (CMB) since 1993, when the European Space Agency received two proposals for space experiments to map the CMB. These experiments eventually became the Planck satellite, Europe's flagship experiment in the field. Planck was launched in May 2009 and observed the sky continuously between August 2009 and October 2013. 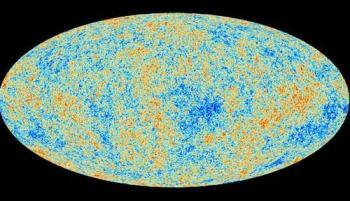 The first major scientific results from Planck were published in 2013. 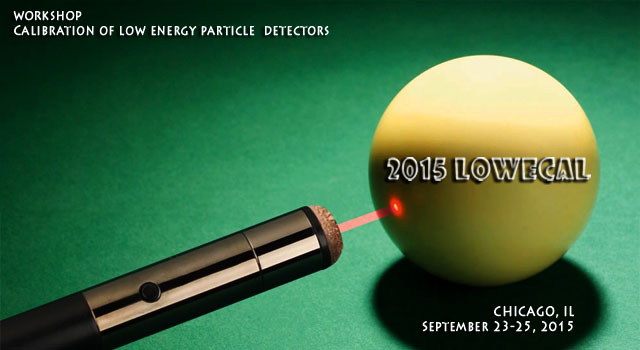 The entirety of the Planck data, including polarization, are being published during 2015. 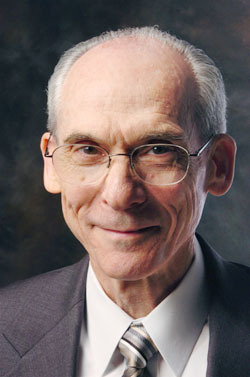 Tauber has guided the scientific development and exploitation of the mission throughout these years. Neil Turok is one of the world's leading theoretical physicists. Formerly Professor of Physics at Princeton and Chair of Mathematical Physics at Cambridge, he is Director and Niels Bohr Chair at Perimeter Institute for Theoretical Physics in Waterloo, Canada. Turo's research focuses on developing fundamental theories of cosmology and new observational tests. His predictions for the correlations of the polarization and temperature of the cosmic background radiation (CBR) and of the galaxy-CBR correlations induced by dark energy have been recently confirmed. With Stephen Hawking, he discovered instanton solutions describing the birth of inflationary universes. With Paul Steinhardt, he developed an alternative, cyclic cosmology, whose predictions are so far in agreement with observational tests. Turok founded the African Institute for Mathematical Sciences (AIMS), a network of five centres across Africa. For his scientific discoveries and his work founding and developing AIMS, Turok was awarded a TED Prize in 2008. World Science Festival Salon: "Dark Energy: Measuring a Mystery"
Dark energy may be the most compelling problem in modern cosmology. An unexplained substance, it's believed to be the driving force behind cosmic acceleration. And yet there is no consensus on what dark energy actually is. The answer could have profound implications for our understanding of the fundamental laws of physics. This discussion focuses on three cutting-edge studies of dark energy, each using radically different techniques. Adam Riess, winner of the 2011 Nobel Prize for the discovery of dark energy, will share a new technique to more accurately measure the expansion rate of the universe. 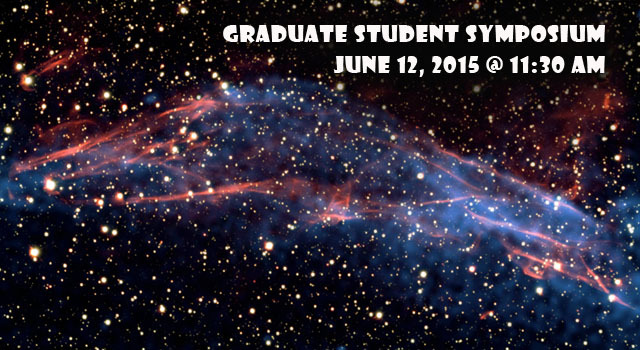 Priya Natarajan of Yale will explain how dark matter can be used to explore dark energy. 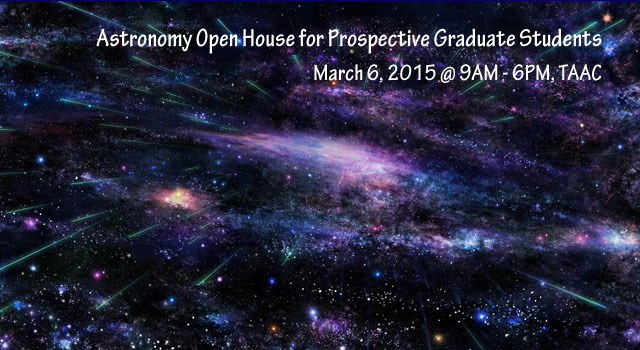 And Dark Energy Survey director Joshua Frieman will deliver the very latest from his five-year study. 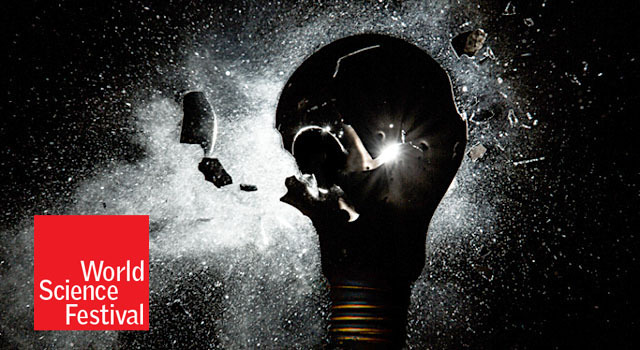 The World Science Festival's annual salon series offers in-depth conversations with leading scientists, extending the discussion of the Festival's premier public programs to graduate students, postdocs, faculty, and well-informed members of the general public. Mario Livio is an internationally known astrophysicist at the Space Telescope Science Institute, which conducts the scientific program of the Hubble Space Telescope and will conduct the scientific program of the upcoming James Webb Space Telescope. He is a fellow of the American Association for the Advancement of Science. He has published more than 400 scientific papers on topics ranging from dark energy and cosmology to black holes and extrasolar planets. Livio is the author of five popular science books, including The Golden Ratio (for which he received the Peano Prize and the International Pythagoras Prize) and Is God a Mathematician? Livio's recent book, Brilliant Blunders, was on the New York Times Best Sellers list and was selected by the Washington Post as one of the "2013 Best Books of the Year." Everyone knows there are things we can't see - the air we breathe, for example, or to be more exotic, a black hole. But what you may not know is that what we can see - a tree, a building or our planet - makes up only 5% of the Universe. The other 95% is totally invisible to us and its presence is discernible only by the weak effects it has on visible matter around it. This invisible stuff comes in two varieties - dark matter and dark energy. One holds the Universe together, while the other tears it apart. (In 1998 was the astonishing revelation that the Universe is not only expanding, but doing so at an ever-quickening pace.) What these forces really are has been a mystery for as long as anyone has suspected they were there, but the latest discoveries of experimental physics have brought us closer to that knowledge. 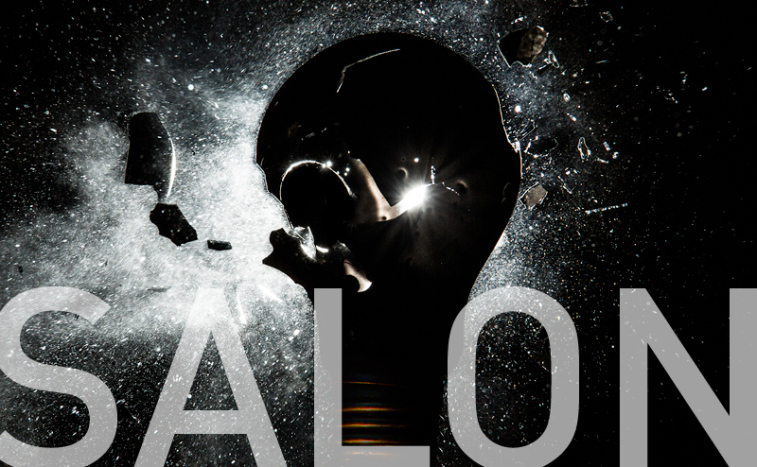 Particle physicist Dan Hooper and cosmologist Elise Jennings will explain some of the toughest ideas science has to offer and how they are working to discover what makes up our dark cosmos. Particle physics explores the fundamental nature of energy and matter, while cosmology is the science of the universe itself, including its composition, history and evolution. Elise Jennings is a research associate in the astrophysics theory group at Fermi National Laboratory and an associate fellow at the Kavli Institute for Cosmological Research at the University of Chicago. She is a computational cosmologist and interested in large scale structure measurements which can constrain dark energy and modified gravity models. In particular she has worked on simulations that allow us to determine the expansion history and growth rate of structure in the universe, which are important ways to test the standard model of cosmology. 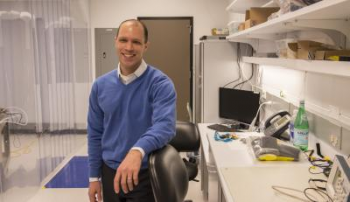 Dan Hooper is an Associate Scientist in the Theoretical Astrophysics Group at the Fermi National Accelerator Laboratory, and an Assistant Professor in the Department of Astronomy and Astrophysics at the University of Chicago. Previously, he was the David Schramm Fellow at Fermilab, and a postdoc at the University of Oxford. In 2003, he completed his Ph.D in physics at the University of Wisconsin. Dan's research focuses on the interface between particle physics and cosmology. He is especially interested in questions about dark matter, supersymmetry, neutrinos, extra dimensions and cosmic rays. Hayato Motohashi - "Causal structure in self-accelerating massive gravity"
Dan Grin - "Ultra-light axions and the CMB"
Christopher Sheehy - "Ground based CMB spectral distortions"
Marilena LoVerde - "Neutrino clustering in cold dark matter halos"
Adam Mantz - "Galaxy cluster grab-bag"
Computations in Science Seminar: Marilena Loverde, University of Chicago, "Cosmic Structure As a Probe of the History of the Universe"
From the tiny fluctuations in the temperature of the cosmic microwave background to the distribution of galaxies seen today, the universe is rich with structure. The gravitational evolution of this structure is a sensitive probe of the matter contents and evolutionary history of the universe. I will discuss how the statistical distribution of cosmic structure can be used to test dark matter, dark energy, and cosmic inflation (the epoch just before the big bang during which all of the structure of the universe was generated by quantum fluctuations). Abigail Crites, Caltech, "The TIME-Pilot CII Intensity Mapping Experiment to Study the Epoch of Reionization"
I will present an overview of the science and instrumentation for a new instrument, TIME-Pilot (Tomographic Ionized Carbon Intensity Mapping Experiment). TIME-Pilot is designed to make measurements from the Epoch of Reionization (EoR), when the first stars and galaxies formed and ionized the intergalactic medium. This will be done via measurements of the redshifted 157.7 um line of singly ionized carbon ([CII]). In particular, TIME-Pilot will produce the first detection of [CII] clustering fluctuations, a signal proportional to the integrated [CII] intensity, summed over all EoR galaxies. TIME-Pilot is thus sensitive to the emission from dwarf galaxies, thought to be responsible for the balance of ionizing UV photons, that will be difficult to detect individually with JWST and ALMA. TIME-Pilot will employ a linear array of spectrometers, each consisting of a parallel-plate diffraction grating. The spectrometer bandwidth covers 185-323 GHz to both probe the entire redshift range of interest and to include channels at the edges of the band for atmospheric noise mitigation. The 1840 detectors will be Transition Edge Sensor bolometers read out with the NIST time-domain-multiplexing (TDM) scheme and cooled to a base temperature of 250 mK with a 3He sorption refrigerator. KICP Workshop: "Putting Your Data into World Wide Telescope (WWT)"
Visualization of data is a core aspect of most astrophysical research. WorldWide Telescope (WWT) was developed by Microsoft Research to enable rich contextual visual explorations and presentations. As a tool, WWT can be used in research to view datasets in the context of wider spatial scales and comparisons to image and catalog data at various wavelengths as well as a portal to journal articles. It has been used to create video abstracts to complement papers published in ApJ Letters and to generate videos to be used in professional talks. It also provides a way to interact with figures in context in journal articles. Videos and tours can be created to communicate basic or contemporary research to public audiences. 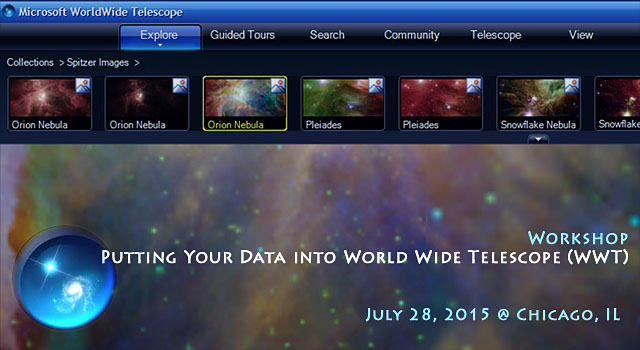 WorldWide Telescope can be used to support K-12 as well as undergraduate education in instruction and student projects. What makes this even more exiting is that WWT is now an open source project available in GitHub under the .NET Foundation. 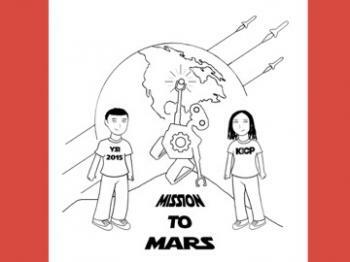 The American Astronomical Society (AAS) is helping to put together community-based support for this project. At this lunch talk, you will learn about how you can use WWT in your own research and communication to colleagues and the public. WWT team members Doug Roberts (Northwestern, AAS), Mark SubbaRao (Adler, UofC), and the principal developer Jonathan Fay (Microsoft) will present this talk and take questions about WWT as a tool, its new life under open source development and future roadmap. Tom Ray, Dublin Institute for Advanced Studies, "The Einstein Lens and a Tale of Two Eclipses"
This year marks the centenary of Einstein’s General Theory of Relativity. 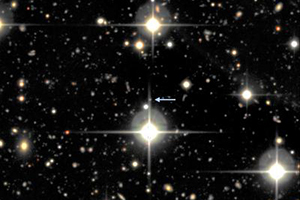 As is well known, astronomers became convinced that Einstein was right after Eddington’s famous expedition to measure the gravitational deflection of starlight in 1919. Recently the equipment that proved critical in testing Einstein's theory has been found after being lost for almost 70 years. Remarkably its discovery has led to the amazing finding that Eddington's expedition may not have been necessary. The finger of suspicion points at Sir Frank Dyson, the Astronomer Royal, who could have been trying to protect Eddington from being conscripted into the British Army during World War I.
KICP workshop: "Calibration of low energy particle detectors"
KICP workshop: "Exploring Theories of Modified Gravity"
The Department of Astronomy & Astrophysics and the Harris School of Public Policy Studies at the University of Chicago are holding a symposium and dinner in honor of Don Lamb's 70th birthday, entitled "More Than A Physicist." You are cordially invited to the symposium and a dinner afterward. "A Physicist Goes to Washington"
Discussion on the Mid-Decadal review, "New Worlds, New Horizons in Astronomy and Astrophysics"
Please bring your lunch to an open discussion on the Mid-Decadal review this Wednesday October 21 at noon in ERC 401. 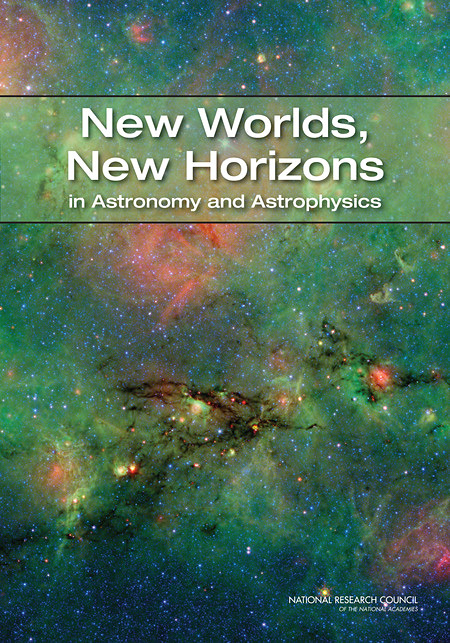 The National Research Council was asked by NASA, NSF, and DoE, to review these agencies' responses to the 2010 NRC decadal survey, "New Worlds, New Horizons in Astronomy and Astrophysics" (NWNH). I am in this review committee and would be interested in hearing your view on the progress towards the NWNH vision or any other views you may want to share. Michael Turner kindly agreed to review the NWNH recommendations for us, John Carlstrom agreed to update us on the WFIRST NRC report and Josh Frieman to update us on the EUCLID participation of the US. If you have an interest on the future of space missions for the science we are most involved in, please bring your ideas. In the future we would also like to discuss the OIR system report, the P5 report, and the Portfolio Review and their effect on our science. Adam Anderson: "Sterile neutrino searches with sounding-rocket-borne x-ray microcalorimeters"
Samuel Flender: "Simulations of the pairwise kinematic Sunyaev-Zeldovich signal"
Zhen Hou: "Study Gravitational Lensing of the Cosmic Microwave Background by Galaxy Clusters"
Cosmin Deaconu: "Evaluating directional sensitivity of low-pressure CF4 dark matter Detectors"
Aurélien Benoit-Lévy: "Recent developments on CMB lensing"
David Staszak: "Measuring cosmic-ray electrons to TeV energies with VERITAS"
Physics colloquium: Wendy Freedman, University of Chicago, "Measurement of Cosmological Parameters"
Over the past few decades, cosmologists have for the first time identified the major constituents of the universe. Surprisingly, the universe hardly resembles what we thought only a few decades ago. The universe is filled with dark matter that is not visible and energy that permeates all of space, causing its expansion to speed up with time. Accurate distances remain central to a number of fundamental problems in astrophysics and cosmology. They are critical for measurements of the acceleration of the universe using supernovae. A more accurate measurement of the Hubble constant is critical for providing independent constraints on dark energy, the geometry, and matter density of the universe. The increased precision of cosmic microwave background fluctuations (most recently with the Planck satellite) make these direct comparisons even more critical, given the physical degeneracies amongst different cosmological parameters,and the apparent tension with the direct measurements of the Hubble constant. There has been fundamental progress over the last couple of decades in measuring extragalactic distances. The upcoming decade promises robust distances and a measurement of the Hubble constant to a few percent accuracy. New space and Earth-based telescopes planned for the next decade will address many of the current outstanding questions. We would like to announce the Midwest Cosmic Visions one day workshop to be held at Fermi National Accelerator Laboratory on Tuesday November 10th. This meeting is in response to a call from The Office of High Energy Physics of the US Department of Energy to propose ideas for cosmic projects that will follow after DESI and LSST. 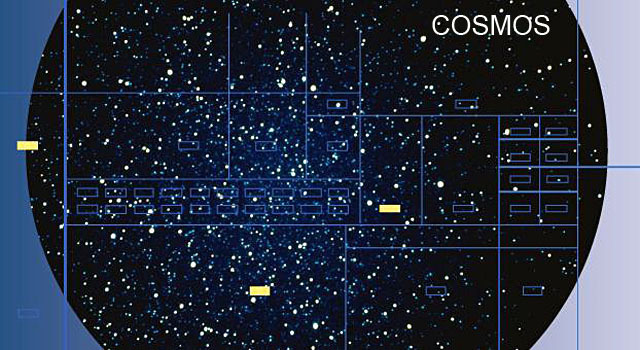 The HEP office of DOE has set up a group to study the scientific reach of future cosmic surveys. 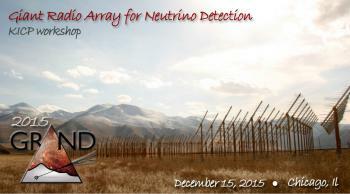 The group will collect and coordinate ideas from the HEP community for research activities, experiments, projects or facilities that will complement, build on, and extend beyond the current program planned for the 2020s in the 2014 P5 report (DESI, LSST, CMB-S4) in investigating the physics probed by surveys. The group was charged to produce a white paper in January 2016 that will include diverse ideas for the future relevant to the HEP program, ranging from blue sky methods to new project concepts to further use of facilities. 3) Instrumentation and R&D geared to these science goals. 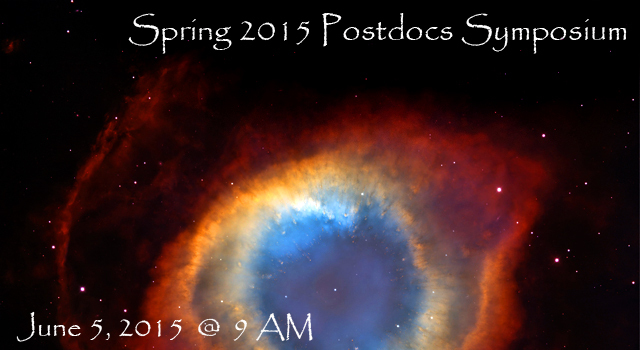 In addition to this Fall meeting there will be a larger, community-wide workshop in Spring/Summer 2016. We would like to invite submissions for talks to any of the above sessions, however we are allocating most of the time during the day to discussion so the opportunity for talks is limited. 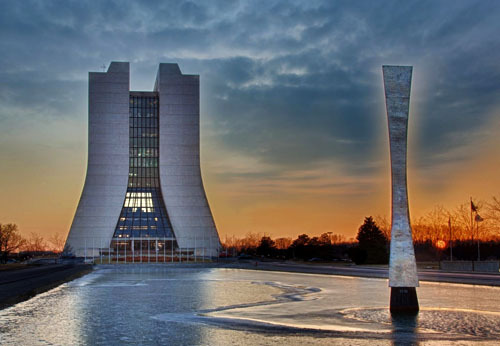 The Department of Astronomy and Astrophysics is celebrating its 123rd anniversary together with the 125th anniversary of the founding of the University of Chicago. The Department is also celebrating its new home, the William Eckhardt Research Center, a state-of-the-art research building that will house all members of the Department after more than 50 years of being located in several sites. Faculty, researchers, students, staff, alumni, and friends of the Department are cordially invited to the celebration. 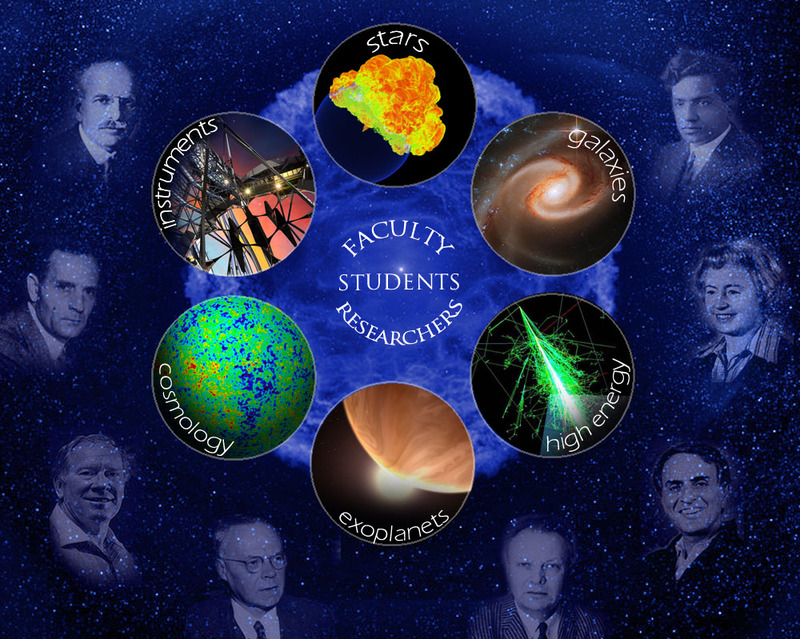 On November 17th and 18th, faculty, researchers, students, staff, alumni, and friends of the Department will gather in the William Eckhardt Research Center for an event that will showcase the Department's history, latest scientific achievements, and vision for the future of Astronomy and Astrophysics. The two-day event will feature talks, panels, and a film to celebrate and explore our rich heritage and our bold aspirations for future research in Astronomy and Astrophysics, including: the origin and evolution of the Universe; the search for Earth twins; the most extreme phenomena in the Universe; state-of-the art computing and observing tools; future technologies needed to advance our knowledge; and advances in graduate and undergraduate teaching and public outreach of Astronomy and Astrophysics.